While the report is commendable, HUPD and HUHS’s roles need clarification. 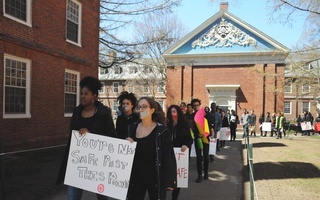 On Nov. 13, University President Lawrence S. Bacow sent an email to the Harvard community with updates on the April 13 physical altercation and arrest of a black College student by Cambridge police that later sparked allegations of police brutality. In response to the “profoundly disturbing” events, former University President Drew G. Faust created a review committee to assess the details of the incident and offer recommendations for Harvard to improve. Exactly seven months after the incident, the committee finalized their report and released it to the public. We applaud the University for this report. Although we are disheartened by how long it took to produce the report — and respond to the fraught worries of the community in the weeks immediately following the incident — the review is thorough and diligently researched. It addresses almost all the concerns raised contemporaneously in April. 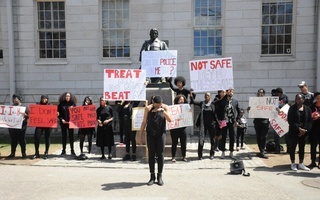 It is also reflective of the conversations had with many graduate and undergraduate student groups, representatives from Harvard University Health Services, Harvard University Police Department, the Offices of Alcohol and Other Drugs Services, Black Students Organizing for Change, and other administrative officials. Many of the recommendations speak to the need for accurate and clear communication of the roles that HUHS and HUPD play in the Harvard community. We agree that there is an urgent need for clarification of jurisdictions and services provided, particularly as they relate to HUPD. Students should be informed and should have clear expectations of what HUPD can offer. After conversations with students surrounding the need for mental health services that currently do not exist, the report recommended that HUHS and HUPD increase cultural and racial competency trainings. We support the institutionalization of these trainings within all University mental health services as well as for House and Yard staff. The College’s method for reporting racial bias was also praised; it should be a model for all other schools in the University and its process should be made accessible to their student bodies as well. On the other hand, we are concerned that so much of Bacow’s communication focuses on changes to Yardfest. In his email, Bacow expressed his concerns about how the high number of intoxicated students led to HUPD being stretched thin. While it is alarming that the number of calls for service during Yardfest was nearly nearly six times the previous year’s, concerns about student intoxication miss the mark. Simply moving Yardfest to Sunday and tightening the event boundaries would not address the problems with HUHS and HUPD staffing during Yardfest. The report mentions other concrete solutions that are more relevant to the core problem. For example, it details solutions such as adopting an Emergency Operations Center event management approach and examining the ratio of officers to attendees at large events. We believe the College should be focusing to a greater extent on these. Considering that Yardfest has been an annual event since 2006, it is alarming that HUHS and HUPD were not staffed adequately during the most recent Yardfest. 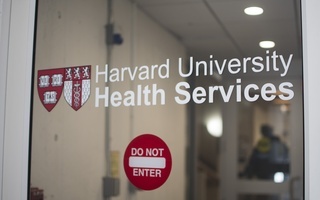 While student intoxication is indeed a serious issue, Harvard should reevaluate the staffing of officers and medical personnel to ensure prompt responses to emergencies. Harvard has thoroughly analyzed the incident and identified concrete strategies to reinforce safety measures in future events. We hope that the College would continue its efforts to implement the suggested solutions, especially in further clarifying HUPD’s role on campus and improve staffing during Yardfest. We hope that the administration clarifies its procedure for involving police in situations where students and affiliates require medical attention.